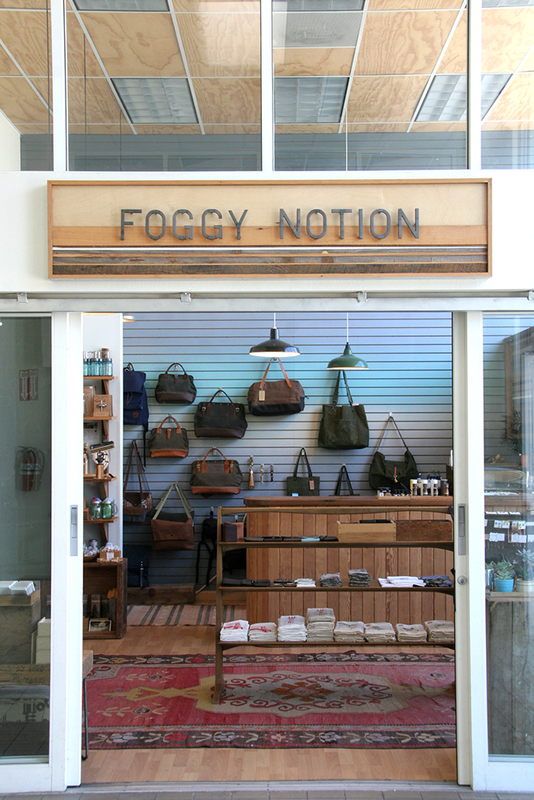 With a focus on handmade, local and ethically crafted goods, Foggy Notion sets an unsurpassed standard of quality and taste. Bursting with recycled handbags, jewelry, art, home goods and an impressive skincare section, Foggy Notion has much to offer the conscious shopper. Carefully curated by veteran indie designer Alissa Anderson, Foggy Notion also serves as a studio for her jewelry and recycled vinyl and leather goods. Alissa's many years in the handmade community have given her a keen eye for exceptional designers and artisans to include in Foggy Notion. Foggy Notion's impressive collection of natural skincare and home goods. Photo by Foggy Notion. Foggy Notion has been selling Wild Rose / Wild Man goods at their Richmond Plaza location since 2012. In addition to the store, Alissa frequents the Renegade Craft Fair, West Coast Craft and regularly participates in community events. Appearances are announced through their newsletter. For you long-distance admirers, Foggy Notion also maintains an expansive online store. 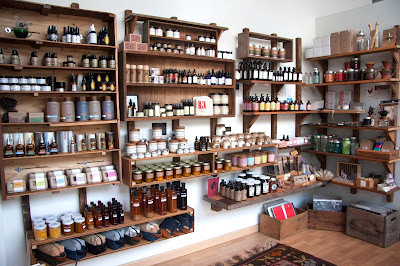 If you live, work or play in the bay, do not pass up this beautiful store!